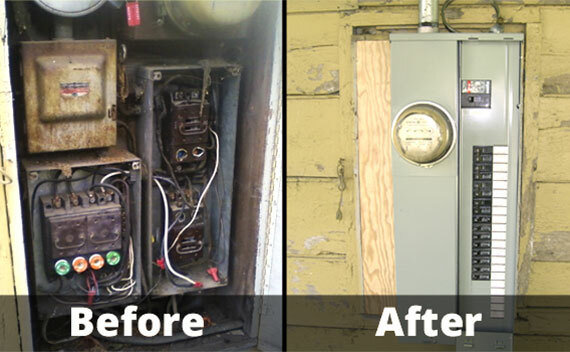 Call Custom Electrical Solutions to schedule your electrical panel upgrades. Are you getting ready to remodel your home or business? Are you having power problems like surges or tripping circuit breakers? If you answered “yes” to any of these questions, you need to call Custom Electrical Solutions to discuss electrical panel upgrades for your building. Our professional team is fully licensed and insured, so you can rely on us for high quality services on any size project. We will properly install your new electrical panel and ensure all wiring is up to code, ensuring your safety and that of your family, employees, or customers. While many buildings, including homes, offices, and industrial outfits in Miami-Dade, Broward, and Palm Beach Counties have been renovated in the past two decades, most have not. Building codes have been updated since many buildings were constructed, leaving electrical panels out of date and out of code. To keep your building in compliance with new safety regulations, we recommend getting an inspection and estimate for a panel upgrade. Panels that are improperly installed are a major fire hazard. Custom Electrical Solutions will work diligently to keep you safe!